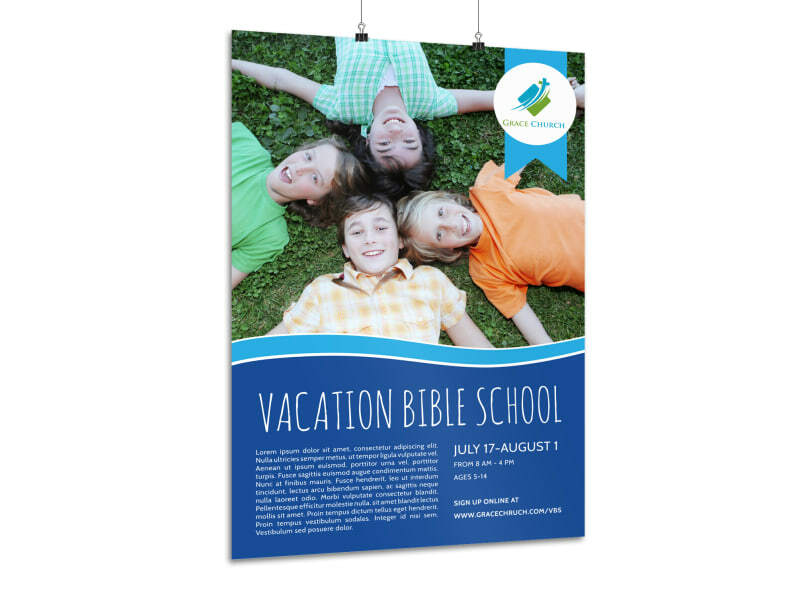 Customize our Church Camp Bible School Poster Template and more! 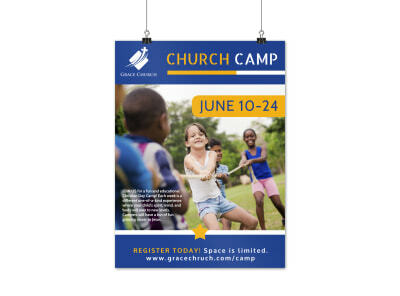 Drum up enrollment for church camp with this Bible School poster. 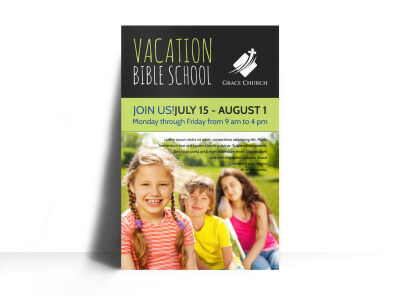 Use our online editor to easily customize this template with fun images, enticing text, and more. 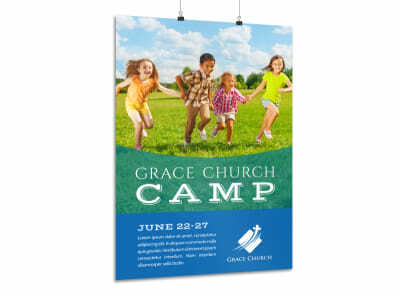 Send your design to our expert printers when you're satisfied with your poster and allow us to produce a professional product for you.